Downloading a stock photo from a stock agency website is easy, takes seconds and should be done on your personal computer or put directly onto your flash drive. Check your account, whether it be a subscription or credit package account, to ensure you have enough credit or subscription rights left to pay for the photo. If you wish to have an extended license or additional rights to the photo, check this option off if available. Click the download button. Some stock agencies enable you to choose immediately where the photo is stored on your computer. Others download into your temp box and you will need to move the downloaded file. Your browser may also determine where the photo is downloaded. Save the photo with the stock agency photo number so you can archive the photo with this reference. 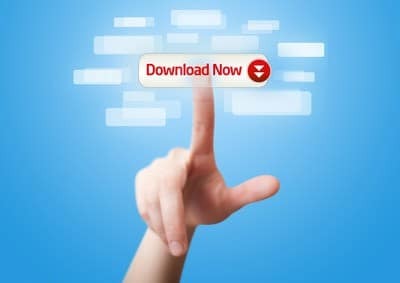 It is also a good idea to put the date of the download and client name so that you know who the photo is being used for and which date it was downloaded. These records will be important when you need to repurchase the photo after licensing agreements expire. We all have busy days and conducting a download as per these steps can be a challenge on any work day. Stock agency websites will remind you to log in, will let you know if you don’t have enough credit or if your subscription has expired or reached its maximum downloads, and will automatically use the stock photo agency number in the file name. If you need a photo now, go to iStockphoto, open your membership, buy credits and download. The entire process will take minutes and you can finish your design project today. Alternately you can compare Microstock Agencies here.